[Zomis/AdventOfCode2017] 2 commits. 2359 additions. > By default, the Save command in the VBE will save *all* changes to the active VBProject, and to the underlying host document/file. @BloggingDuck this will be read thoroughly. Expect many question to come from it once I do read it. Status: exhausted from nailing up sheer walls all day long. Sleep time! @BloggingDuck @Mat'sMug It's not clear in the post, and it doesn't really matter for Excel, but it looks like your proxy is referencing the predeclared instance of the document module. 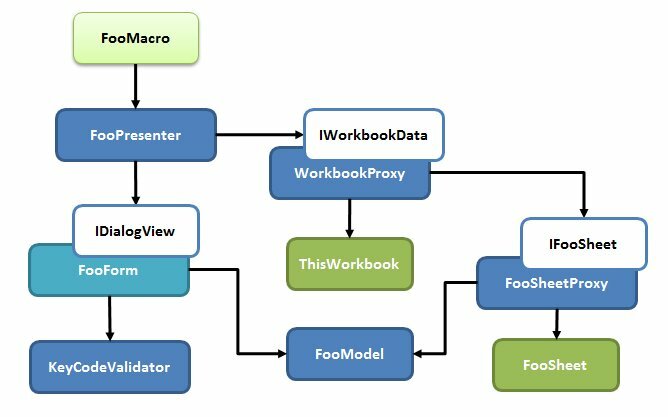 For hosts like Access (and in keeping with UserForm instancing), where multiple instances are possible, the proxy should perhaps have an Instance property, or a factory method that accepts the instance, and returns the proxy instance? @Mat'sMug Didn't you use to have a Twitter feed in here? Anyone, can a specific inspection be disabled on a per-module basis? > Whenever an inspection has more than 100 results, it is aggregated into a single row. However, description does not update when selecting such aggregated inspection, which make it hard to act upon it. Code Explorer shows 4 inspections `Object variable 'IDbConnection_CurrentConnection` is assigned without the Set keyword`. Clicking each inspection result highlights exactly the same line so I think the 3 are duplicates of the false positive. I think the fact that `Nothing` is being assigned is somehow tripping up the inspection, maybe? > Because the only assignment in scope is to Nothing, your ducky is warning you about possible runtime error 91 here (or originating here anyway). The wording isn't exactly ideal, but the inspection result is intended. > Yeah, and that was a good thing because as I said, I probably really should be throwing a NotImplemented error there. Besides the wording, what about the 3 duplicates, though? That can't be right. @Mat'sMug Oh crap, I wanted to set up a Twitter feed. @Vogel612 For some reason I thought I remember someone saying we can do @IgnoreModule NameOfInspection1, NamoeOfInspection2 -- but apparently that was just an idea and not implemented. I only recall "exclude module from parsing"
@Mat'sMug I'm really sorry to be such a nuisance, but do you want to release 2.1.1 with FR translations, or should I just go ahead and put DE i18n in and release? omg, I gotta type this myself?!? Note to self and maybe you too: Sometimes you work so hard, for so long, that you don’t recognize you’ve already accomplished a dream you once thought impossible. Don’t forget to celebrate and be grateful. The idea that you can’t be a great software engineer without a CS degree is nonsense. The idea that there’s no value in spending three years studying the fundamentals of our field is also nonsense. #DidYouKnow Rubberduck's Code Explorer displays module & member docstrings? 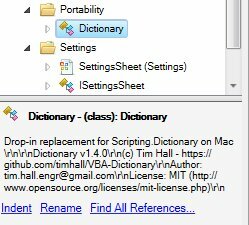 Rubberduck users can open a #VBA project and know without even opening the file whether that 'Dictionary' class is @timhalldesign's or some homegrown reinventing-the-wheel solution =) There's #OSS4VBA2! You could multitask and use Vogel's tool..
@Vogel612 does "I verifizier au" not lose the IVerify pun? @this I'm going for "Ouais, moi aussi je vérifie mes entrées"
Woah woah, my French is nonexistent beyond few random English loanwords. > Expected: Stack overflow? ; Actual: Guard clause. @Mat'sMug Would that just make you a Canadian and not a French Canadian? @Mat'sMug Seems there's another typo in an article. value = OrderSheet.Range("Header_Account").valuet IsError(value) Then IOrderSheet_AccountNumber = value on rubberduckvba.wordpress.com/2017/12/08/there-is-no-worksheet feels like there's stuff missing. it's simple for German... "Denglisch"
I also don't think I'm the only one that's having the issue. @this What do you see on the screen? @Mat'sMug Shouldn't your If Not IsError(value) ... not be on one line? RD should have alerted you to that. Still having that same issue with If No disappearing and smushing it onto 1 line. I'd have to check back at the other article that has the same issue. IIRC it's the same thing that's occuring. 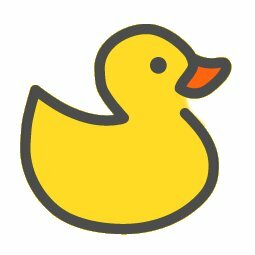 [rubberduck-vba/Rubberduck] build for commit 664907f4 on master: GitHub Pages successfully built your site. apparently I can't publish the release.. I'm pretty sure that it's "fine" now.